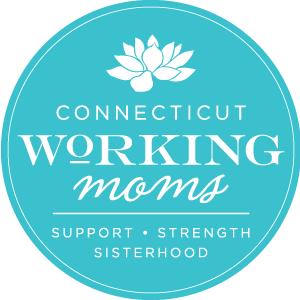 So, the last time I did an “A Day in the Life” blog for CTWorkingMoms, my son was 2 and I was 8 months pregnant. That was 2012. Now, my daughter is about to turn 5 and my son is 7 going on 8. Time sure does fly! At that point, I entitled my post, “A Day in the Life: Always on the Move.” Not much has changed in terms of busyness, but I wouldn’t have it any other way! 4:30 AM: Our new puppy, Ruby, begins to wine. I take a deep breath, get out of bed, head down stairs, put on my boots and coat, and take her out to pee. I put her back in her crate, give her a bully stick, and it’s back up to bed. 5:30 AM: That adorable new puppy begins to wine again. This time I’m up to bring her out to poop, feed her breakfast, and then I change into my running clothes. Depending on the weather, it’s either off to the gym or outside to take a 4-5 mile run. 6:45 AM: Back from my workout. I sing a “good morning hello” upstairs to stir the kids awake. I put on coffee and pet Ruby. I bring Ruby outside again to pee. She’s getting better with her bladder control but I’m scarred from her early days in our home and take her out WAY TOO MUCH. 6:55-7:55 AM: It’s a whirlwind! Kids and parents brushing teeth, picking out clothes, brushing hair, going to the bathroom, packing book bags, making breakfast, making lunch, taking Ruby out to pee, kids singing, kids playing, dog barking, signing homework, putting on shoes, finding coats, packing snow suits, etc. 8:00 AM: The husband takes off for work. We are participating in a carpool this year for my daughter. I have my son and daughter look out the front door window while I attempt to finish blow drying my hair and put on make-up. I too peek out the window from the upstairs bathroom while blow drying because the kids attention span is minimal, at best. Carpool arrives! I run downstairs, give a kiss to my daughter, have my son and daughter say goodbye to each other, and I usher her out to the car (sometimes with wet hair, sometimes in my bathrobe, sometimes with bare feet, and sometimes actually put together). 8:10 AM: I finish getting myself together, packing my bag, grabbing food for my day, and getting a coat and shoes. I clean up the kids breakfast, bring the dog out one last time, turn the car on to heat up, make myself a bowl of cereal (with banana) for the road, tell my son to get his shoes and coat on (usually 2-3 times), fill a to-go cup of coffee, bring all of my stuff to the car, and put Ruby in her crate. 8:25 AM: Head over to the Elementary School with my son for the 8:30 bell. The school is literally right next door, so we walk together, hand in hand. I give him a kiss on the head before he heads off to play and I talk with other parents. Bell rings, and I’m back to the house and in the (warm) car, pulling out of the drive way and off to work! There are days when I pause and cannot imagine that I have done this much before 8:30. There are also days where I am exhausted and it’s only 8:30. 9:00 AM-4:50 PM: I arrive at work. Depending on what’s going on that day, I usually check emails first thing. I’m likely to leave soon after to head to a training or a meeting with a colleague, or to lead a meeting with partner organizations & individuals. I also often have working lunch meetings with partners or potential partners to discuss any number of things having to do with violence against women, women’s leadership, or political advocacy. I feel incredibly fortunate that I get to do work that I am passionate about. My work days are full and fulfilling. When I look at the clock, it’s never because the day is dragging, it’s because I could use 4 or 5 more hours and the workday has flown by once again. 4:50 PM: I’m off, driving from my office to my daughter’s Magnet School, which is free, but in the absolute middle of nowhere. Depending on traffic, this trip can take me 20 minutes or a half hour. I arrive, take another very large deep breath, and head in to pick up my daughter and two 3 year old girls. As I mentioned, we’re in a carpool, and so it’s my turn to round up the ladies from preschool. I head into the cafeteria where the extension program is held. I sign each of the three girls out, go to each of their cubbies where I have to unzip each book bag and take out each of their coats. The two 3 year-olds are in the cafeteria. Depending on the day and the fun they are having, I sometimes have to use my best excited voice to wrangle them from what they’re doing and out of the cafeteria…or I bribe them with a snack waiting in the car. We (me and two 3 year old girls) head to get my daughter, who is 4 and in a different location in the school. After pulling her away from whatever activity she is engaged in, we head out of the school. We have our own little routine. I let the girls run to the lamp post. Then we wait to gather and all cross the parking lot together, at which point, if there are no cars, they are free to run to my car. I then proceed to buckle in 3 girls to 3 different car seats and strategically place their book bags by the right feet. I then get in, pass out snacks, text their moms to let them know my ETA, and drive. I also put on one of our carpool songs…can’t help sprinkling a little feminist girl power! 6:00 PM: All three of us are in the kitchen. I begin dinner, my son is reading his book/homework, and my daughter is singing, telling stories and hanging out with the dog. I multitask and do dishes and empty the kids book bags while I cook. 6:30 PM: By now, my husband has arrived home. We all eat together at the table. Each of us share something we’re grateful for, and we talk about our days. For my son, it’s mostly what he did at recess or in PE. For my daughter, it can be any number of bizarre things–she’s sort of our wild child. 7:00 PM: Time to bring Ruby out again to pee and poop. Depending on the night, either its bath time for the kids, or, my husband or I might have meetings to go to. Regardless, the kids head up to get pajamas on. Then it’s either more reading or math for my son, more dog time for my daughter, a little tv or video games, and dessert. 8:00 PM: At 8 PM, its definitely time to watch a show and cuddle on the couch. 8:30 PM: The kids head upstairs to brush teeth. Then, I read them a book before bed. 8:45 PM: I tuck the kids in and give multiple hugs and kisses. 9:00 PM: I finally sit. I put on the tv to watch a show of my choosing. 10 or 10:30 PM: It’s off to bed. I mean…come on, it’s a miracle I lasted that long!